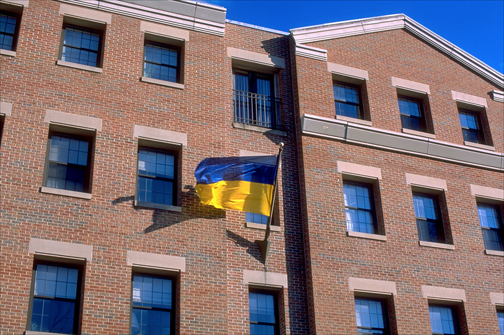 Ukraine, 66 times the land area of Puerto Rico, is the largest country wholly within Europe. The Texas-size former Soviet republic has precious little in common with the tiny U.S. commonwealth except that both are rapidly losing population — and both face huge fiscal challenges ahead. Yet Ukraine’s economy has finally turned the corner and has begun growing, while Puerto Rico remains mired in debt, with no short-term way out of its crisis. But with former Ukrainian Finance Minister Natalie Jaresko now executive director of the island’s Financial Oversight Board, Puerto Rico at least is on the right path to recovery, say experts who know Jaresko and are familiar with her achievements. Herbst was Washington’s envoy in Kiev from 2003 to 2006. But in 1990 — as the USSR was collapsing — he headed the State Department’s Office of Soviet Affairs, and Jaresko was his intern. Swedish economist Anders Åslund, a Ukraine expert and a senior fellow at the Atlantic Council, said Jaresko slashed the ex-Soviet republic’s $18 billion fiscal deficit from 10 percent of GDP in 2014 to 2 percent in 2016, after only 17 months on the job. Public spending, meanwhile, fell from 53 percent of GDP to 44 percent. But that didn’t necessarily make her popular with Ukraine’s 42.5 million citizens. “Of course, people don’t like a minister of finance who cuts public expenditures, but this is the basis for Ukraine now having a stable economy that has started to grow,” Åslund said. He noted that Ukraine’s GDP grew by 2.3 percent last year and is likely to expand by at least 2.5 percent in 2017 — despite Russia’s annexation of Crimea three years ago, ongoing fighting by pro-Russian separatists in eastern Ukraine and the fastest-shrinking population of any country on Earth (it’s expected to have only 35 million inhabitants by 2050). By comparison, Puerto Rico’s — which is also suffering a population decline — will see its GDP will fall by 2 percent this year, predicts the Economist Intelligence Unit. “Natalie tackled Ukraine’s large fiscal deficit by imposing hard budget constraints and pushed strongly for very important reforms, such as tax reform, fiscal decentralization, budget data transparency. She worked in very difficult circumstances of escalating conflict in the East, slow and inefficient bureaucracy and vested interests trying to derail her efforts,” said Olena Bilan, chief economist at Dragon Capital, Ukraine’s leading investment bank. “Sovereign debt restructuring, which she negotiated, enabled Ukraine to reduce debt-to-GDP ratio and put it on a sustainable trajectory. This experience should be valuable in Natalie’s current position,” Bilan said. In March, the Chicago-born Jaresko, 51, was selected among 300 applicants to head the Financial Oversight Board. As such, she receives a $625,000 annual salary plus travel expenses from Kiev — a far cry from the $200 a month she earned as finance minister of Ukraine. Yet Jaresko now urges drastic budget cuts in education, healthcare and other public expenditures as the only way to put Puerto Rico’s financial house back in order. Timothy Ash, a senior emerging markets sovereign strategist for Bluebay Asset Management, called Jaresko “very professional, very passionate, clean and direct” in a phone interview from London. Ash said Ukraine’s endemic corruption made Jaresko’s job even tougher, yet in the end she managed to secure a $40 billion loan from the IMF, with contributions from the United States and Germany. 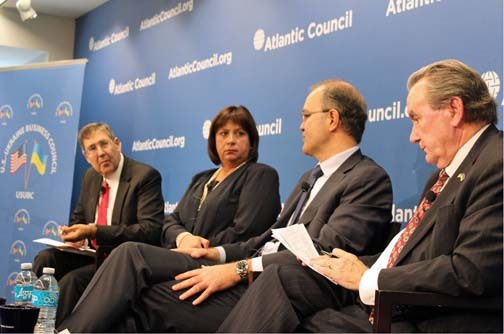 Even so, Jaresko warned at a recent Atlantic Council event that Ukraine still needs another $25 billion in funds to avoid economic crisis. Herbst, calling Jaresko’s tenure as finance minister “an exceptional performance,” said it allowed Ukraine to move from a country on the verge of default to relative stability — so much so that at one point, she nearly became Ukraine’s prime minister. Hey Buddy!, I found this information for you: "Experts: Board head Jaresko revived Ukraine’s economy". Here is the website link: https://newsismybusiness.com/revived-ukraines-economy/. Thank you.